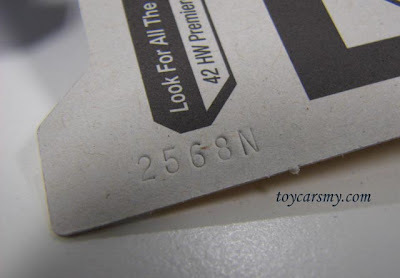 2568N is not the lucky lottery number from Hot Wheels. It is actually the wave identifier for the Mattel packaging line. The head quarter will decides assortments in each wave stamped on the edge of each cards for easy reference during the packaging. To proof this point, you just need to compare models from same wave will have same number. Volkswagen Fastback, what so great about it? Many collectors have asked, what so great about this VW Fastback? 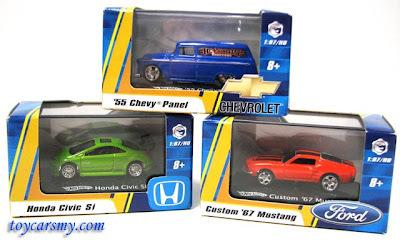 See the price guide from southtexasdiecast.com, the loose is USD5.00 and the carded USD10.00. You can cross check the bidding price in Ebay too, It shouldn't fetch so high price for the new release. The collectors believe this fastback will follow the Chevy Panel not returning to mainline. Thanks to Phil Riehlman made it so heavy, it came not cost effective to package it in the regular line-up. We will have to see it again in other series, so bye bye for now. This is the H0 scale (1/87) Chevy Panel, it is as details as the 3" version. In fact, I found it better than the original 1st edition debuted 2006. 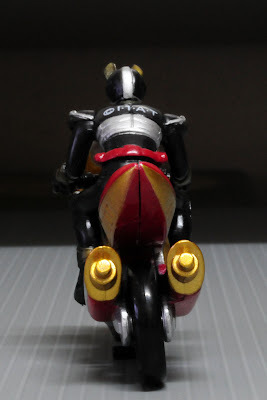 The H0 version just looked like his elder brother, furthermore it comes with two-piece rubber wheels. The only missing item is the slide out cooper, I guess it is too small to fit in at the back. Some background of the 2006 Chevy Panel below. Introduced in 2006 as a First Edition, the `55 Chevy Panel was one of the year's heaviest models along with the VW Karmann Ghia. It has a metal body and base. The Panel also has a rear hatch that opens to reveal a motorcycle that can slide out. 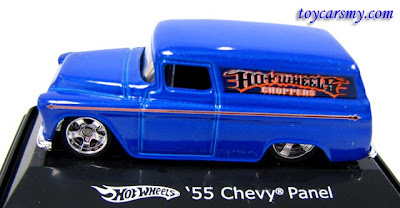 Due to the model's significant weight and production cost, the `55 Chevy Panel is not expected to return to the mainline after 2006. This is one of the Matchbox pack of 5 assortment I got for myself. Initially bought for the reason VW Transporter and Austin Mini Van. After some reasearched, they are actually selected for reasons. Model from Volswagen Type-1, called the Microbus or Splittie among modern fans, was produced from March 8, 1950 through the end of the 1967 model year. This is the predecessor model for the famous T2 Bus. Widely used by Great Britian for delivery in the 60s and 70s. The vehicle is in some ways considered the British equivalent to its German contemporary, the Volkswagen Beetle, which enjoyed similar popularity in North America. In 1999 the Mini was voted the second most influential car of the 20th Century. Manufactured between 1961 and 1974. Its combination of good looks, high performance, and competitive pricing resulted in a great success for Jaguar, with more than 70,000 E-Types being sold over its lifespan, and became an icon of 1960s motoring. 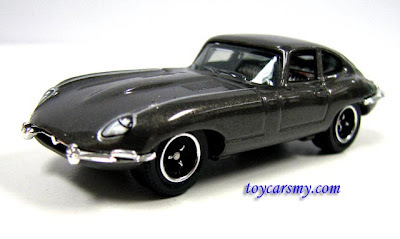 In March 2008, the Jaguar E-Type ranked first in Daily Telegraph list of the "100 most beautiful cars" of all time. This is the last model of the 1st generation Camaros, it was the higest units sold for its generation. The 2nd generation was introduced in February 26, 1970. But the production total wasn't exceeded until 1978. The second generation ChevyVan introduced for 1971. It is the biggest competitor for Ford Econoline and Dodge in the compact van based on a modified passenger car platform. In fact in also new to this and I try to explain all I knew. I'm not sure what other usage for decal paper, but I'm using it for the modeling customization. It looked like the glossy paper we use for the photo printing. There are 2 type of water slide decal paper, inkjet and laser printer. Inkjet are more commonly use due to colour laser printer is still expensive. To protect the ink from dissolve in the water, you need to spay a layer a clear coat before you can start working on it. I'm not going too deep in to Inkjet decal because the one I'm using is laser decal. Same here, 2 type a decals for laser, clear and white. They are exist for different usage. Whole sheet is clear until you print out the colour on it. It is very easy to use because you do not need to cut it near to the designs. You will not see the edge very much after you applied to the model. Printer won't print out white, so you need the white decal paper to do it. In white colour, unless your model is white, you need to trim it as near as to the design, otherwise the excess is can be obviously seen. You need to waste few sheets before you can get it right. Each printer type is different for it print out quality and paper type. There is not standard guide to follow but try and error. Before you print on decal paper, try it on normal A4 paper to get the right colour and size. Avoid small portion printing because it going to waste your rest of the paper. Accumulate multiple designs and print all in one go. Cut the design out and dip in to water for 10~15 seconds. Slide the decal to the surface and adjust position by finger. Wipe the water gently and let dry for 24 hours. To protect the decal paper especially your decals are small. It tend to come out if it is not dry enough. I think you only interested in this, you are lucky if you can find it locally. Most people I know get it from overseas. They usually supply in pack of 50 to 100 sheets, including the shipment it will cost you less than RM10/sheet to get it in quantity of 100. Clear are easier to use, but you need small quantity of white sheet in case of anything. Group with few people to share the cost, or else you will never get started for your 1st decal. Trust me! The name H0 is derived from the fact that its 1:87 scale is approximately half that of 0 (zero) scale, hence H0. The term H0 is pronounced ("aitch-oh"), not "ho" nor "aitch-zero". 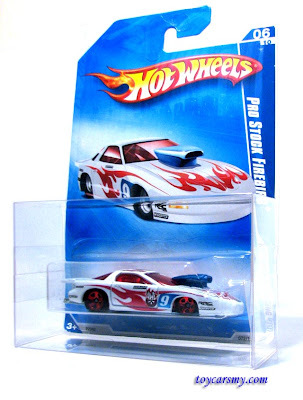 Started 2008, Hot Wheels added H0 Series on top of their 3" mainline models. The assortment features some of most collectible Hot Wheels vehicles recreated in a smaller, yet highly detailed 1:87 scale. The wheels are all two-piece and the styling is precise. Plus they come in an acrylic collector box for easy display. Unfortunately, this series is not available here in Malaysia, but some got it from Aussie land for AUD7.99. Speculated information this will unveil on August in the promo pack this year. 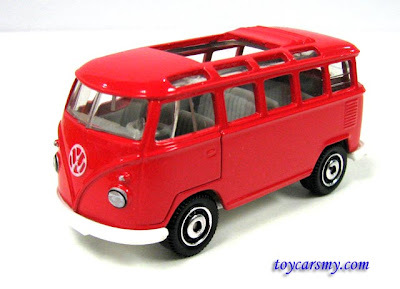 No solid confirmation so far for me to get my H0 DD and VW Panel Bus. Hmm, 5 months to go. PS: Above H0 models sponsored by Mattel SEA for HWCM members giveaway. Details to be announced in HWCM site later. Carded - Hot Wheels that are still intact in their Blister Pack. 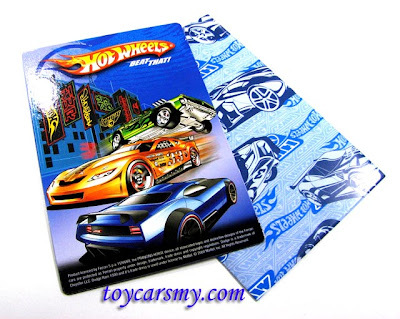 Loosed - Hot Wheels that are taken out of their Blister Pack. Long Card - Packaging for Malaysia and most of the countries. US card differentiate by the yellow "3+". Short Card - Available to certain countries, for instance, Europe and Japan. 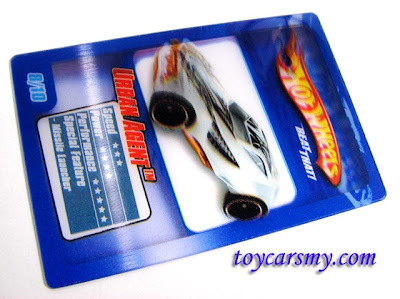 Error Card - Hot Wheels with mistake, this either referring to error in car or the card. Error could be wrong wheels, tampo, window, wrong car in card, etc. 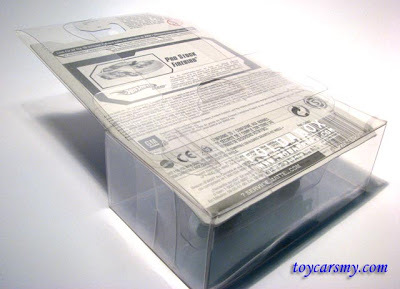 Blister Pack - The packaging that most Hot Wheels cars are sold in. There is a printed paperboard backing with a plastic blister containing the vehicle. Waves - Assortment of the models in each carton. 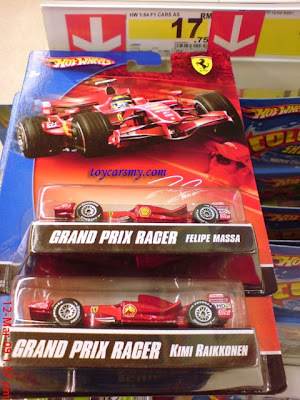 Mattel arrange the assortment according to the wave code in size of 72 cars in a carton. 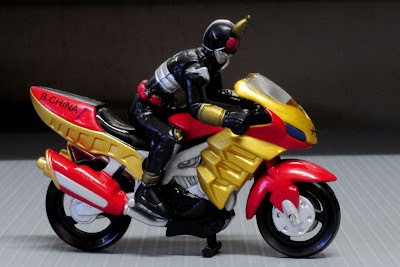 Collectors always refer new wave to new models out to market. Variant - Deviation from the same model, most of the time is variation of colour and tampo. Tampo - Painted designs that are pre-applied to castings through a pad press process. 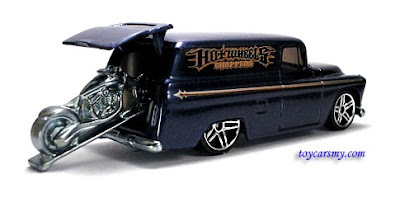 Casting - General term that refers to the Hot Wheels model. Body - The upper metal part of the vehicle. This can include the doors, fenders, trunk, wings, etc. Base or Chassis - The bottom piece of metal or plastic that forms the underside of the vehicle. This will show the first year the vehicle was produced (Not in the later models) and the country of origin. T-Hunts or Reg Thunt - Consist of 12 cars ever year, 1 released per month (Supposedly). Rare to find with high resale value, it is because each box of 72 cars only contained 1, most collectors aiming for this. 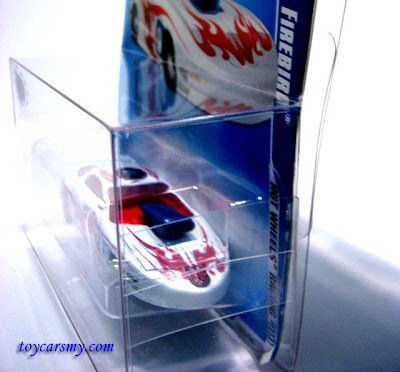 T-Hunt$ or Super Treasure Hunt - Introduced In 2007, higher level of Thunt with premium rubber wheels & spectraflame paint. 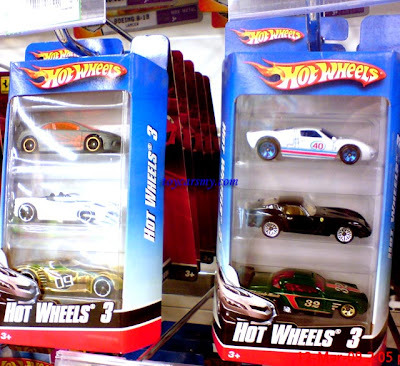 This is ultimate Hot Wheels collection with only ratio of 5 to 10 Regular Thunt to 1. Scored this is your lucky day. First Editions / New Models - Cars that debut on the mainline whether it is based on real-life vehicles or from the imagination of the Hot Wheels designers team. 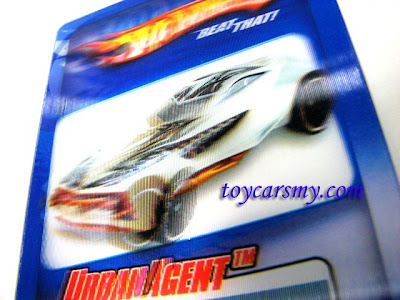 Track Stars - Cars that are designed exclusively to be raced on Hot Wheels track sets. Segment Series - Cars that are designed to meet with a certain theme, eg. Heat Fleet and Hot Wheels Racing. 10 Segments and 10 models for each series in 2009 line-up. Haul - Refer to the result for the models found. Field Report - Reports made by collectors for the available new models. This helps others eliminate time to search through location repeatly. Trade - Refer to exchange with others for the models you do not have. Swap Meet - Collectors meet together exchange collections. Scalper - The person that bought all the high demand models for advantage made from the higher resale value. Scalper created artificial demand in the market take away the chances from others. Exemption for scalper is those bought for others with no profit. Insider - People who have advantage to search through cartons before it display on the rack. Every casting design variations are produced for once, no reproduction for same colour, design and tampo on the following years. 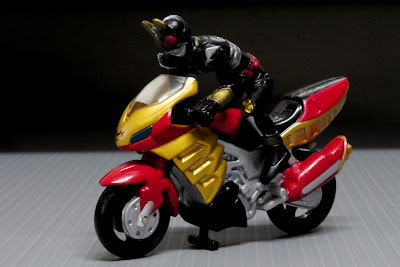 As such, every model is limited after the release has over. 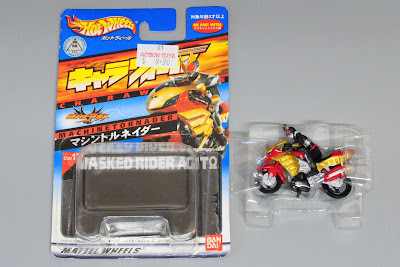 You probably need to swap or purchase from collectors if you pursuing certain casting. I’m also telling you Hot Wheels collecting is investment, the value from its popularity and rarity. You need to keep it in perfect condition and packaging, including the original box. As such, Hot Wheels collecting may make you fortune if you done enough home works. You do not need a lot of money for this hobby, but rather you need to visit more shops and frequent to score what you are looking. 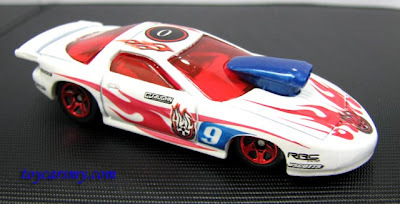 One biggest collecting tip is to just have fun and do not spend more than you can afford, Hot Wheels collecting is about enthusiasm, passion, and sharing. Toycarsmy is the author and founder of HWCM. You may look for people have some hobby with you to share excitement and experience. But there is only one official Hot Wheels club in the world, Hot Wheels Collectors (HWC) by Mattel International and Red Line Club (RLC) is the premium membership to HWC. 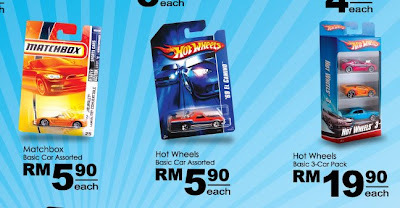 HWCM, Hot Wheels Collectors Malaysia is a non-official Hot Wheels community exclusively for collectors in Malaysia. The member registration is free-of-charge and you are ready to go. The community believed in information sharing is the best way to help collectors. 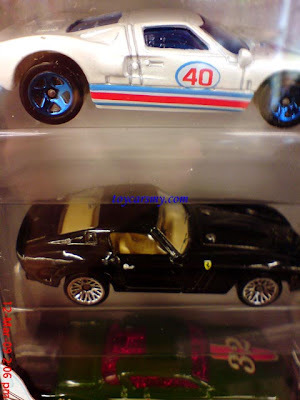 Along the collecting, you are certainly looking for some models to complete your collections, swap meet or exchange (some people called trade) is one way you can look into. Make friendship with collectors in the community and swap your extra to something in your wanted list for absolutely no money involve, isn’t it fun? 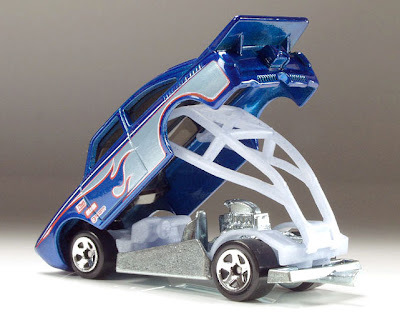 Show your creativity and talent in creating your very own version Hot Wheels, this required certain skills in it. 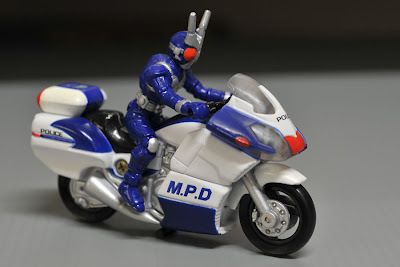 I have seen quite a few awesome customs did by the HWCM members. They not only swap wheels, but repaint the whole car with self-designed decal stickers, it is amazing and looked original. There isn’t specific rule you need to follow, just pick up those love. Most collectors started from mainline models from the real life replicas. Asia collectors have preference on models from Japanese cars’ makers, for instance Honda, Mitsubishi, Toyota and Datsun. But there are collectors only collecting American classics, muscle, Porsche, Ferrari, Mini or Volkswagen, It’s just about your flavor and taste. 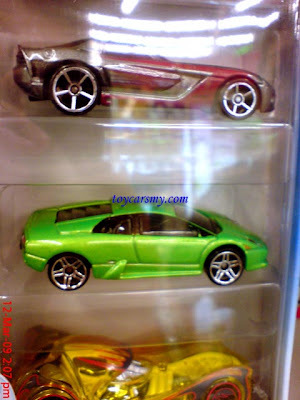 Work up the collections you have, Hot Wheels series have 4 cars in 2008 increased to 10 in 2009 line-up, complete the series will be the joy and achievement you are looking for. 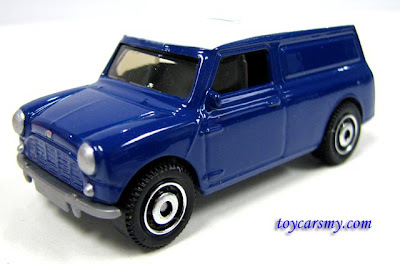 Every casting is elite, if your preferred casting is Mini Cooper, this will take you awhile to complete. Total variations for this casting are not less than 22 models since it introduced in year 2000. Alternative, you can choose a newer casting such as 2008 Lancer Evolution with only 3 variations in red, grey and blue plus additional 2 colours in Color Shifters. Treasure Hunt is the series identified by the green label on its right; it is always in the top wanted list. It introduced in 1995, consists of 12 cars every year, one released per month. Initially the production run was 10,000 pieces worldwide, that number has been increased since the rising popularity as a collector's item. 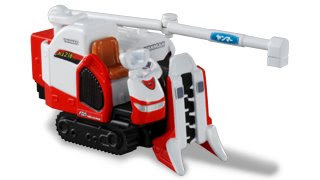 In 2007, Mattel introduced a two-tiered Treasure Hunt system. 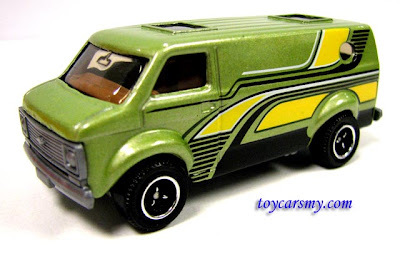 A regular Treasure Hunt will feature normal enamel paint and normal wheels like other Hot Wheels cars. 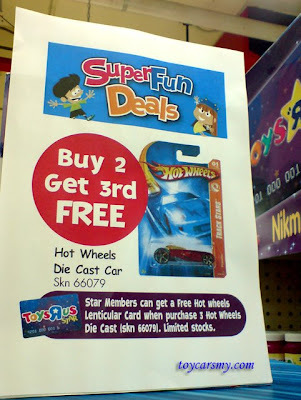 The super Treasure Hunt features premium wheels (rubber wheels), and Spectraflame paint. 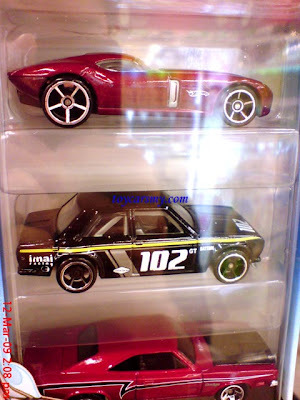 All 12 Treasure Hunt cars are released in both regular and super versions, but the super version are much rarer. Referring to the mistake done in the production line, the car was slip through the QC cycles and packed in the blister. You are real lucky to see any of this hanging on the display rack. 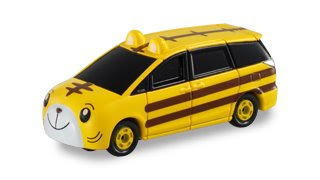 Error could be in car or the card, error cars usually with wrong wheels, no tampo, no windows or etc. Error cards with car either up side down, wrong side or wrong car in card. 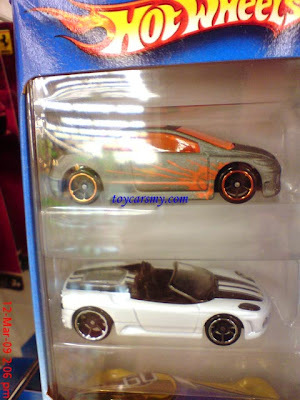 Error Hot Wheels can fetch quite a good value due to its rareness. Still remember my young age in the 80s used to collect stamps during my spare time. During that time, I even brought my collections to school to exchange with my schoolmates and talk about how we got them for hours. However, this has changed after game console was introduced in late 80s. Since that, my younger cousins’ hobby is play video games. Until today, children literally have no hobby other than sitting in front of the computers. 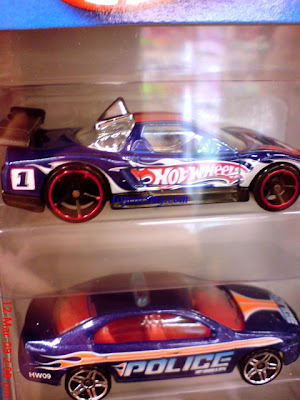 I would like to share with you my experience on collecting Hot Wheels and this hobby will pass to my junior to continue. 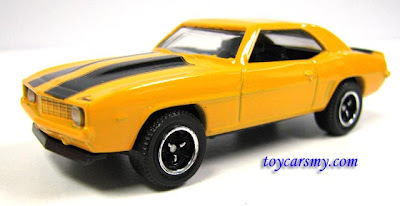 Hot Wheels, a little in 3” diecast produced my Mattel since 1968. It had been commemorative to many children that adults today. Collecting Hot Wheels cars is an easy and fairly inexpensive hobby, but it gives you joy and excitement just like any other hobbies. How to admire Hot Wheels? 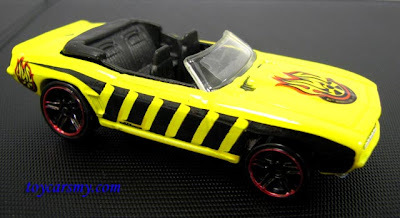 Every Hot Wheels is unique, you need to understand why it was introduced. 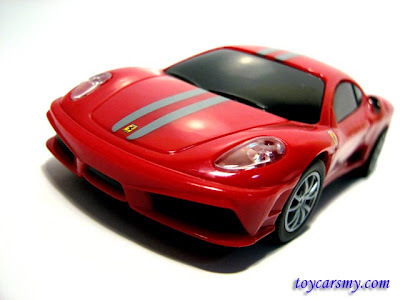 Take out from blister pack and appreciate from the design, shape, colour, tampo, interior, wheels to accessories. Some models even have special features example open hood, pop-off and removable part. Do some research on the models you own, you will able to find most background information of the cars, especially those replica models. I received my decal papers last week for the purpose of the HWCM Bettlecup giveaway. Painting part has completed but the progress halted due to the decal paper arrangement. The long waiting time drive me crazy, as soon as I received the decals, the logo printing begun. It is not that straight forward you can imaging, it involved a lot of calibration, try and error before you get the desire results. I will explain more in the later post. The Pro Stock Firebird produced by white and clear decal and the yellow Camero solely on clear. The logo overlay the body colour does not have white to cover the HWC word, it turned out quite nice on overall. I added minor detailing all rounded, it is finally with HWCM\Eight for my appreciation to the logo design. Hope you like it, cheers. 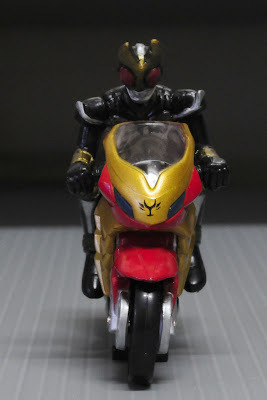 PS: Although it is simple for me to reproduce the same custom, but I will not redo any custom I made. Hence, every unit is unique and only 1 in the world. I found this in YouTube, a promotional video clip for latest Shell Ferrari models uploaded by OgilvyShell. Ogilvy, a International advertising, marketing and public relations agency founded in 1948. 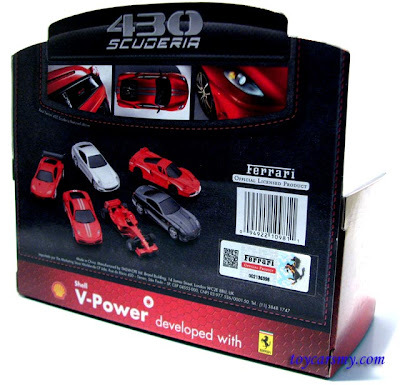 The video clip demonstrates the model cars and the playmat which will available later. It is really fun to see how the boy control his car running through obstacle towards the finish line. 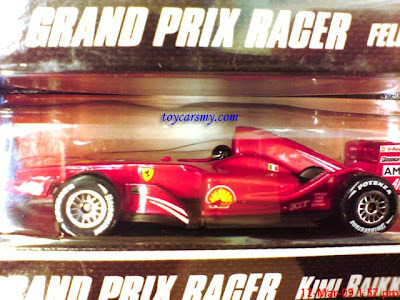 The official Shell Ferrari 2009 Garage only available on 17th Mar, but the non-official garage already available. This is not the imitation but custom made by one of the collector, Rikmun. 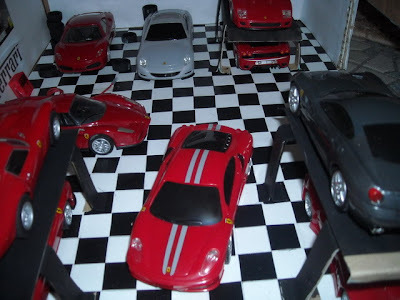 A Hot Wheels collector from Ipoh Perak and also HWCM member share with us his latest Ferrari Showroom diorama. The diorama made by card boards, wires and parts from other Ferraris. I would say he is creative and talented, good work Rikmun, more to come. More Pictures are available at HWCM. I found this Advertisement while I uploading my small clip into Youtube. A 2 minutes Shell Ferrari Advertisement uploaded a year ago. The advert demonstrate the evolution of the Shell Ferrari F1 cars for the pass 60 years. In the ad, generations F1 cars run across the Cities until Michael pit stop at the Shell Station. Turn on your speaker loudly to feel the engine sound. 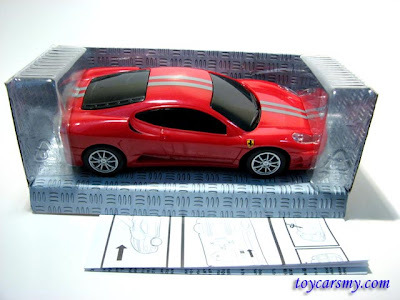 My review on the Shell Ferrari 2009 430 Scuderia for my beginning of my 3 series Shell Ferrari collection. The model packaged in the paper box with nice graphics front and back. 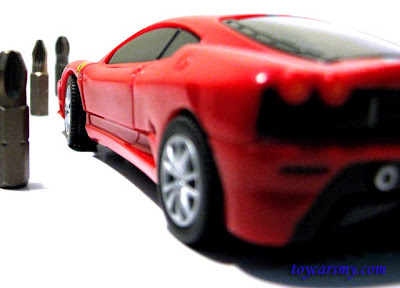 The Ferrari in scale 1:38, which very much larger than the ordinary 3" Hot Wheels series we are collecting. The Ferrari Official Hologram recognises the models as authorised by Ferrari. 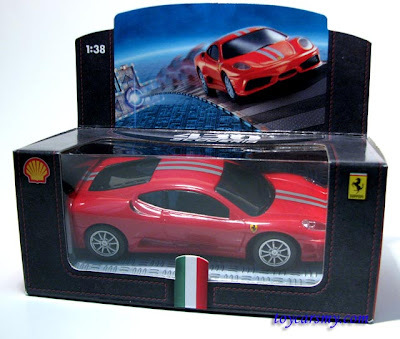 In side the box contained a Shell Ferrari model and a instruction manual explains the control of the steering function. 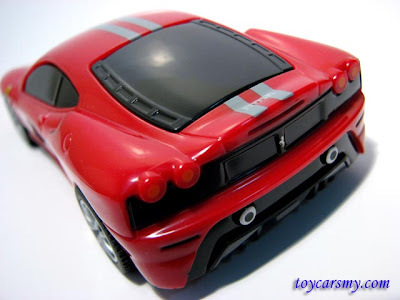 The model is plastic for both it casting and base, with this it allows the Ferrari run very fast on its light weight body. In term of detailing, the model are painted with reasonable details on the lights, emblems, and signature racing stripes. See the pictures below, every corners are well took cares. 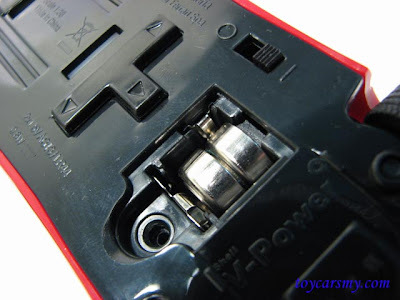 The touch steering is operated by 2 LR44 batteries found under the model. The touch pad is where you control the direction of the car. 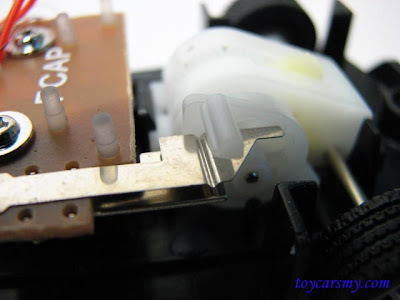 The pullback mechanical engine has a clip activate the commands you programmed to the model. Immediate it released, the steering will turn according to your intention after roughly 1 second delay. 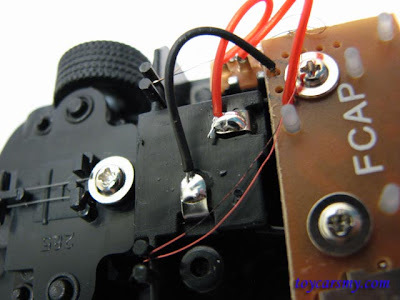 The black and red colour cables connect power source to the controller board, 2 pairs of tiny wires attached into front controls the magnetic steering system left and right. The parallel springs will center the steering immediate the magnet released. You can refer to the movie clip to see how the touch steering system operates, toward the end of the clip is a simple demonstration of the touch steering 430 Scuderia. Verdict: It simply awesome on the technology breakthrough from the earlier series. The expectations for the next series will be definitely higher. Can't wait to see!! I like: Fun on the touch steering system, affordable in term of price vs technology and quality. Of course, it is a Ferrari. I dislike: Some confusion on the touch pad (left is right, right is left), it took me a while to get used to it. Missing the Vrooom vroom sound, isn't good have both?